Hi, friends! In one of my last posts (yikes, a few months ago), I mentioned that I had been really, really stressed out this year and really, really busy with work, which had taken me away from my training. Well, I have a few things to share, because what I've learned over the past few months is too important to keep to myself. 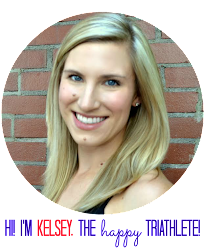 In October, I started working with a naturopathic doctor - Dr. Kathy at Somerset Health and Wellness - and it has been awesome! Dr. Kathy helped me to pull together what I thought were somewhat disparate threads and see the bigger picture of what was going on with my health and well-being. It took a few appointments for the full picture to come together, but eventually, we identified my stress level as taking a toll physically and mentally. This was solidified when I did the Ultimate blood panel with InsideTracker at the beginning of December. The results of the blood test were pretty shocking. My cortisol level (cortisol is our stress hormone) was through the roof. It was over double the high end of the normal range! Wow. That was eye opening. My Vitamin D level was at rock bottom. My testosterone level was on the high end. My B12 was at the low end of normal. Most of the rest looked pretty good, which made me happy. And the things that were wrong could be addressed. InsideTracker provides a ton of recommendations on dietary and lifestyle changes to support improved levels. They also provide a lot of information about the science behind why these biomarkers are important. This information coupled with my visits with Dr. Kathy has helped immensely. Focus on quality sleep: I didn't sleep for the whole month of October, so getting back to sleeping was a huge priority. My nighttime routine now consists of drinking tea and relaxing on my couch, while trying to limit my screentime before bed. I drink David's Tea "Mother's Little Helper" which has valerian root in it. Some nights, I also drink Calm Magnesium. Magnesium is really helpful for our brain health (including mood), muscle recovery, sleep, and so much more. Supplements for Energy, Mood, and Female Hormonal Health: I started taking B6, which is recommended for women on hormonal birth control. I also have been taking B12 lozenges to increase my energy levels. I'm on a high dose 4000 IU of Vitamin D to dig me out of the hole and bring my levels up to normal (energy, mood, etc.). And I'm taking Chaste Tree to support progesterone production and reduce PMS symptoms, since my progesterone levels were at rock bottom. Cortisol Reduction: Besides getting adequate sleep... I'm taking a stress relief tonic to support my adrenal health and help reduce my cortisol levels. It has lots of good stuff - holy basil, schizandra, etc. I'm also back to training. I'm meditating or going to yoga once in a while. And I've significantly cut back on drinking alcohol, which elevates cortisol levels and interferes with the production of the hormones we really need. Apparently drinking wine after a stressful day at work was actually making things worse. I've been substituting tea or Kombucha for my evening glass of wine. The results have been awesome. After a month and a half of being really consistent with my supplements and focusing on sleep, I feel great. My energy levels are back to normal. My period came back after over three months without it! And I generally feel less anxious and better equipped to handle stress at work. It's been nice to feel motivated to train again too! The main lesson I have learned is that chronic stress can have a huge impact on our health and well-being if we go too long without addressing it. In the beginning of November, I was in a seminar in advance of a course for my puppy. We watched a video on how cortisol affects the body and brain, and it is crazy (cortisol affects dogs the same way). Basically, it makes us less able to learn new things, less productive, less able to have positive social interactions, and even makes us depressed. 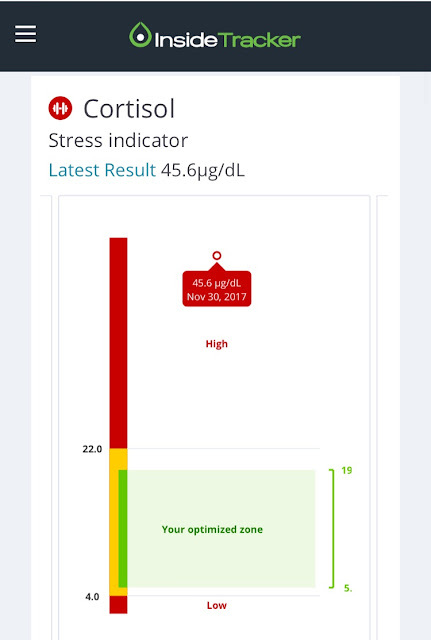 High cortisol levels are not good! My ND told me at one point that she could only help me so much before I would need to address the root cause - my work situation. Luckily for me, the situation at work has also improved immensely. I'm happy to be on a path to feeling healthier, happier, and better able to handle whatever stressors life throws my way! If you have any questions, please reach out! I'm more than happy to talk more about my experience. And of course, if you're feeling overly stressed out or burned out, talk to a healthcare practitioner. I have only good things to say about working with an ND and highly recommend that route!